When you're planning to move abroad for an assignment, thinking ahead can help you make the experience flow more smoothly. Aside from international insurance coverage for your health, property and auto, you also need to consider safety. Whether you're moving to a war-torn political hotspot or a quiet place with beautiful beaches, you need to consider reality. Ask your employer if the company has kidnap and ransom insurance. While it's a topic some people prefer not to discuss and hope they never have to, it can provide peace of mind. If your employer does not carry it and won't, it's something available you might want to consider. Over the past six years, the occurrence of kidnappings has increased by at least 100 percent worldwide. As the economy in many countries continues to struggle, the number of kidnappings continues to rise, now estimated in the thousands each year. 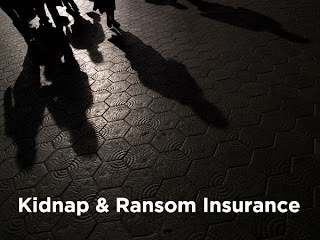 Kidnap and Ransom Insurance policyholder’s identities are kept strictly confidential. Plan ahead and determine exactly what is covered and who should be notified if you are kidnapped while abroad on assignment. Keep in mind that while South and Central America and Africa have long had higher incidence of abductions, the numbers in the Middle East and Central Asia is on the rise. 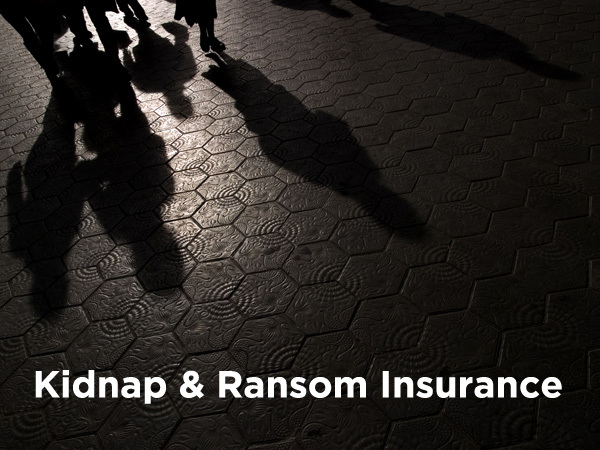 Most kidnap victims are released once the ransom is paid, but this is never a guarantee. While living and traveling abroad as an expatriate, be sure to follow these three tips. They will help to keep you safe, regardless of where you're staying. 1. Stay alert for suspicious people and activities. Create a plan for what to do if you think you are being followed or watched. 2. Never tell anyone in idle conversation that your company carries kidnap and ransom insurance on you or anyone in your organization. 3. When arriving in a new place at the airport, avoid taking a taxi. Plan on renting a vehicle until you secure a vehicle of your own. If this isn't possible, have someone you already know who is affiliated with your company pick you up at the airport. Consider a brief video conference meeting beforehand so you can easily identify each other or ask your employer for a recent photo. While kidnapping and unlawful detention can be an unpleasant topic to discuss, take the time to address it with your family and your company before you leave.